If you are a car enthusiast and enjoy showing your car at local or national meets, you know how important it is to keep it clean. That means choosing the right towel to do all the detailing. And even if you don’t plan to attend any car shows and just want to keep your car looking pristine, choosing the right towel to clean your car can make all the difference. We want to focus on two of the best towels that you can use — microfiber and terrycloth. Over the years, microfiber towels have become the number one choice for detailing. Quality microfiber towels can absorb up to seven times their own weight in moisture. Typically made of polyester and nylon, they are woven with about 90,000 wedge-shaped fibers per inch to capture dirt and liquid very effectively. 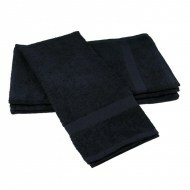 These towels are incredibly versatile and can be used for all aspects of detailing. 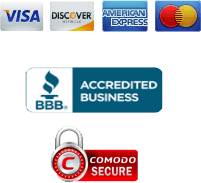 They are lint free, extremely durable and very absorbent. 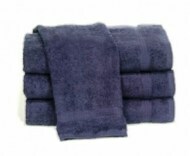 These towels come in a range of sizes but the ones that are chosen most often by people in the detailing industry range from the size of a washcloth to the size of a hand towel. The lighter the towel, the less it will generally cost. You should probably aim for thickness somewhere in the middle. At this thickness, the towels will do everything you want. A good quality microfiber is also well-constructed. With good quality towels, it feels like the cloth sticks to your fingers when you touch it. Microfibers will last a long time if cared for properly. Washing a microfiber towel is perhaps the most critical consideration, which is why we discuss this in more detail below. If washed properly, you can use your microfiber towels for many years. Although not used as often as microfiber towels, cotton terrycloth towels are still a popular choice for detailing and cleaning your car. Think of the towels that you use at home in your bathroom. They are soft, absorbent and durable. They are a great choice to clean the upholstery, carpet and wheel wells. The most popular size is a hand towel. A dozen terrycloth towels will weigh about 3 to 5 pounds. You can use a larger towel if you’re cleaning a larger vehicle, like a truck. If you choose cotton terrycloth, make sure you get high-quality. 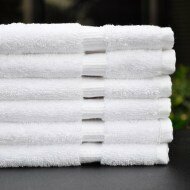 Low-quality terrycloth towels are more likely to fall apart after just a few washes. One of the main differences between microfiber and terrycloth is that microfiber can used right after you buy it. You’ll need to wash your terrycloth towels several times to remove lint and make them softer and more absorbent. Since microfiber towels are manufactured differently than a cotton towel and have unique cleaning abilities, they require a bit more attention to the way that they are washed and cleaned after they have been used. Washing your microfiber towels correctly means that you will not only be able to use them repeatedly, but they will maintain their cleaning effectiveness. Never dry them in high temperatures. And if possible, air dry them. Wash them in cold or warm water. If practical, don’t use any detergent. But if that is impractical, you must use a mild detergent. Never use fabric softeners. Fabric softeners clog those 90,000 wedge-shaped spaces that capture the dirt and grime. If those spaces are clogged, your microfiber towel is useless. If possible, wash your microfiber towels by themselves. If you need to do a mixed load, never wash them anything made of cotton or any other material that creates lint. So, if you are using both microfiber towels and terrycloth towels for detailing, never wash them together. If you prefer to hand wash, wash microfiber towels in hot water and use a mild detergent. A soft bristled brush will also useful. When you’re done, rinse the microfiber towels thoroughly. And here’s a great way to use your microfiber towels. Color code them according to use. All the towels that you use on the exterior of your automobile should be one color, towels used to clean windows would be a second color, while all those you use on the interior would be a third color. You might even want to use a fourth color for the towels that you use to clean items like wheel jacks and lights. One of the other benefits of using color-coded towels is that is easier to separate exterior towels from interior towels. 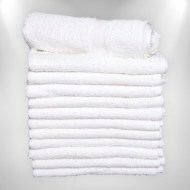 Remember these towels perform various functions and clean different kinds of dirt and grime. Separate the exterior towels from the interior towels, and they won’t transfer dirt to their counterparts. Can You Wash Microfiber Towels in the Washing Machine? There’s absolutely no reason that you should not be able to use your regular washing machine to clean your microfiber towels. If you wonder what detergent might be best, you can use almost any mild detergent. Your primary concern is the residue from the detergent. You need to make sure that whatever you use is clean rinsing. It’s probably a good idea to stay away from powder laundry detergent, as it almost always leaves a residue, and watch out for liquid detergents that contain perfumes or fabric softeners. If you’re going to buy something off the shelf and we suggest going with a mild detergent that explicitly says it is fragrance-free and has no fabric softeners. There are special cleaning detergents that can be used to make sure that microfiber towels get as clean as possible. These special cleaning detergents are excellent to use if you wash your microfiber towels regularly, so they are always on hand whenever you need to detail your car. These cleaners interact with the special fibers in microfiber towels to remove dirt and grime that can sometimes be left behind when using regular detergents. The store where you purchase your towels will have more information on how you can purchase these special detergents. Also, here’s a good tip for cleaning your towels at home. Have a separate bin for your microfiber cleaning towels than your regular clothes. Anyone who has done laundry knows that when you’re in a hurry, sometimes you don’t pay as much attention to what you’re washing together as you should. And as we noted above, if you wash microfiber towels with cotton items or other linty fabrics, you will ruin your microfiber. If you’re going to use a commercial laundry, you need to follow the rules set above — no bleach or fabric softener and no drying on high temperatures. But you might also want to find a detergent that is better for heavy soils but does not have any alkaline. We would recommend that before you wash your microfiber towels in a commercial laundry, talk to an expert where you bought the microfiber towels and find out the best way to clean and dry them using this method. The way you dry a microfiber towel is almost as important as the way you wash it. Ideally, the best way to dry a microfiber towel is to air dry it. But that may be impractical if you have a lot of microfiber towels that you use for detailing your car or cars. If you must use the dryer, the number one rule is never to use high heat. For instance, if you’re doing many loads of laundry, and it’s time for you to dry your load of microfiber towels, don’t just toss them in after you’ve removed a load that you dried on a higher setting. Wait for the dryer's tumbler to cool, then dry the towels on the lowest setting. The problem with heat is that it melts the microfibers. This may be hard to determine with the eye, but if you’re worried that your microfiber towels have melted, an effective way to test this is to try to wipe up a spill of some liquid from a table. If the fibers are normal, they will remove the spill. If the fibers of melted, liquid will remain on the table. Should I Use Cotton or Microfiber Towels for Washing Cars? Always wash your car in the shade and never in direct sunlight. Use a towel made of a material that will get your car clean but won’t hurt the finish. Some people like to use sponges to clean their cars, but we would recommend a plush towel of either cotton or microfiber. Microfiber can be used right out of the box. Microfiber is very absorbent and is excellent at cleaning oily residue, grime and grease. 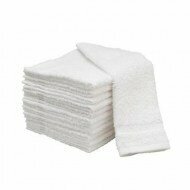 When properly cared for, microfiber towels can last as long as 500 washes. Microfiber is very soft and will not damage the car's finish. Cotton towels used for detailing can get quite dirty. Use a high-quality cotton towel as it maintains its shape and thickness regardless of how many times you use it and how many times you wash it. Cotton towels are excellent for cleaning a car without leaving smudges on leather or scratching the finish. While not quite as absorbent as a microfiber towel, a cotton towel properly maintained can absorb more than enough liquid throughout its use to justify its selection. Cotton towels are easy to store. When dry, they fold up in a much more compact shape than microfiber. If space is at a premium, cotton towels are a good choice. While microfiber towels are excellent for washing cars, the choice of cotton or microfiber for washing is a personal preference. But when it comes to drying a car, the absorbency of microfiber really does make it your number one choice. The first step in drying your car with the microfiber towel is to wet a clean towel with clean water and wipe each section of the car starting from the top. Always make sure the towel is a little damp. A slightly damp towel absorbs water better than a completely dry one. Don’t fold the cloth over on itself. Keep it as open as possible and use an open hand to cover as much area as you can. Whenever the cloth gets too wet, wring it out. If you’ve done this correctly, the microfiber towel will be practically dry. If it gets dirty, rinse it in clean water. Never use soapy water at this stage of the process. It won’t hurt your car, but you’ll find that you have streaks when it dries. If the cloth gets too dirty, replace it with a clean one. After drying the car, there is a chance that will be a little water left behind. You can either let this air dry or wipe it down again with clean, dry microfiber towels to give the best finish possible. Whether you just enjoy your car and like to keep it as clean as possible or you run a carwash or a detailing operation, you need access to a lot of towels. 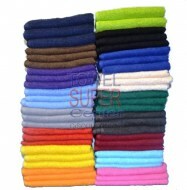 At Towel Super Center, you can find the best quality towels at reasonable prices. 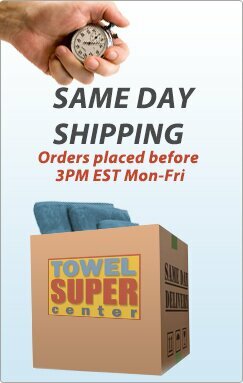 We offer discount prices on all of our towels whether you are interested in microfiber or cotton. 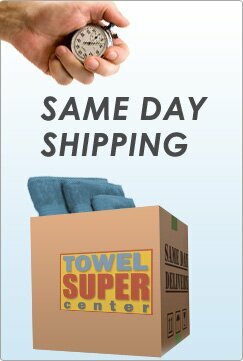 If you’re looking for a wholesale towel supplier that can give you value, quality and excellent customer service that you won’t find elsewhere, contact us at Towel Super Center. Call us toll-free at 1-866-449-3999 and a member of our highly qualified, knowledgeable staff will be happy to talk to you about your towel needs.